Following a series of acquisitions, Wittur, a top manufacturer of elevator components, modules and systems, faced a significant challenge. Wittur wanted to reduce duplicates and increase its reuse of parts within projects, but the company’s massive amount of diverse data distributed across its global network of plants made parts standardization and reuse extremely difficult. 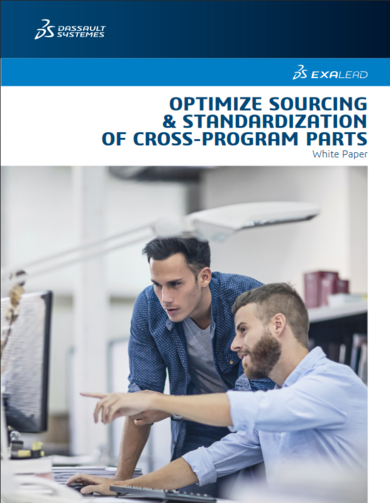 To solve this challenge, Wittur adopted EXALEAD’s Sourcing & Standardization Intelligence solution to break through data silos and provide global access to parts data stored in distributed sources, including SOLIDWORKS PDM Professional and legacy SQL databases. This solution has reduced the time that Wittur engineers spend looking for information by more than 20 hours per day, freeing up €184,000 worth of engineering time per year for higher value tasks, while reducing parts proliferation. Learn more about the 3DEXPERIENCE EXALEAD OnePart Sourcing & Standardization solution.